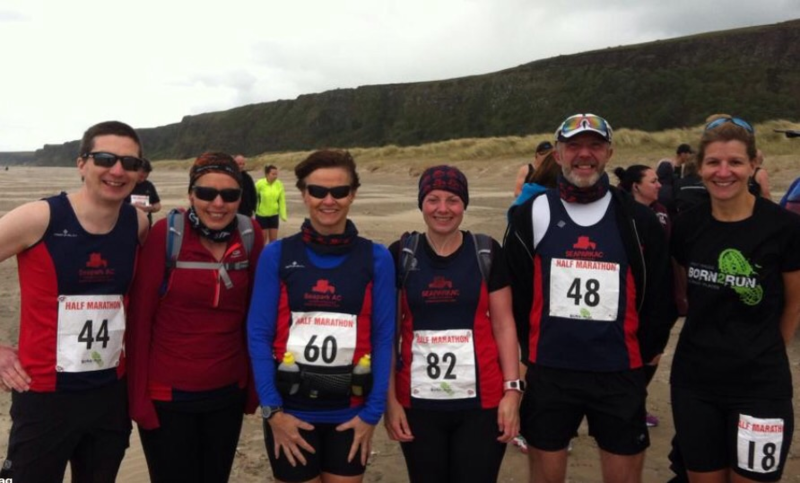 Six athletes from Seapark AC travelled to Benone Beach on Saturday to compete in the Born to Run Benone Half Marathon and 10k event. 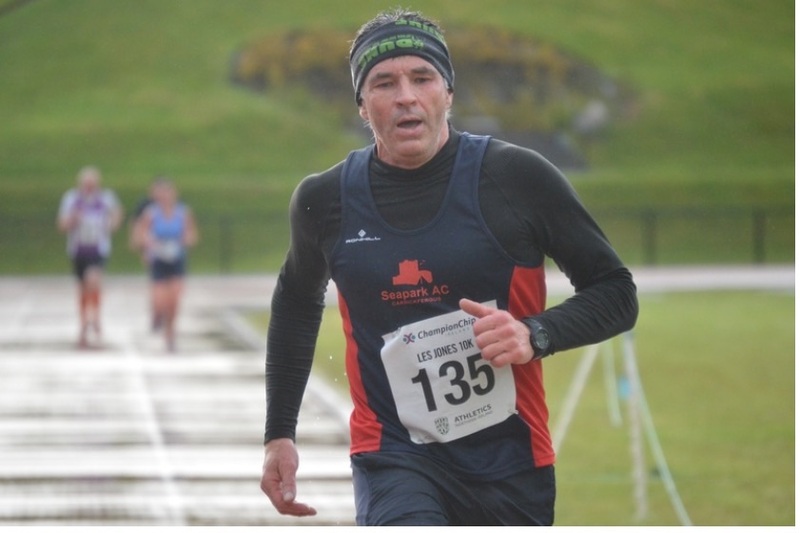 The half marathon covered a difficult hilly route rewarded with outstanding views across the Innishowen Peninsula in Donegal. The route for both half and 10k distances covered 4 miles of the stunning Benone Beach. 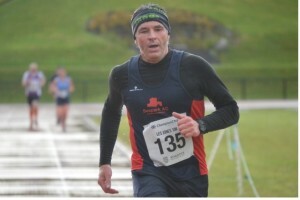 Results for Half Marathon Bobbie Irvine 1.46, Richard Hethrington 1.47, Angela McCormick 2.02, Karen Poag 2.08, Alison Welsh 2.19. 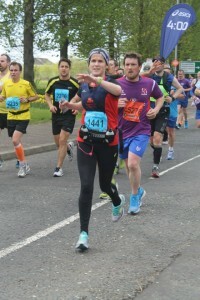 Gillian Barnhill was second female in a time of 1.46. 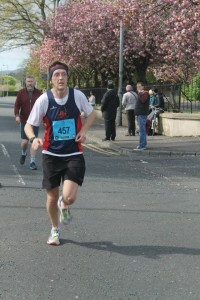 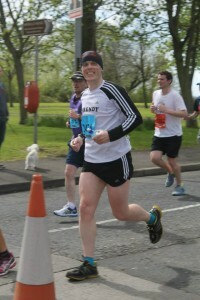 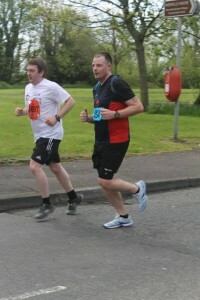 Philip Poag completed the 10k race in 50.38. 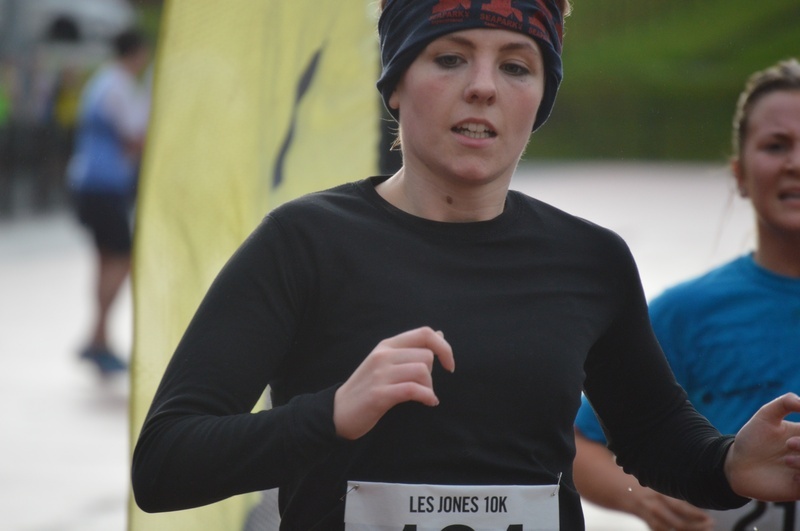 On Friday 15th Alanah McCombe and Andy Smyth competed in the Les Jones Memorial 10k in Belfast, with times of 51.45 and 51.59. 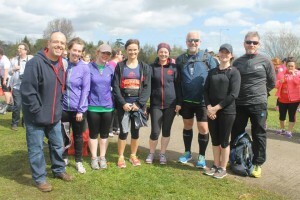 There was a fantastic turnout of 40 runners from Seapark AC and Jog Carrickfergus at the East Antrim Harriers Woodburn Forest Race on Tuesday 12th May. 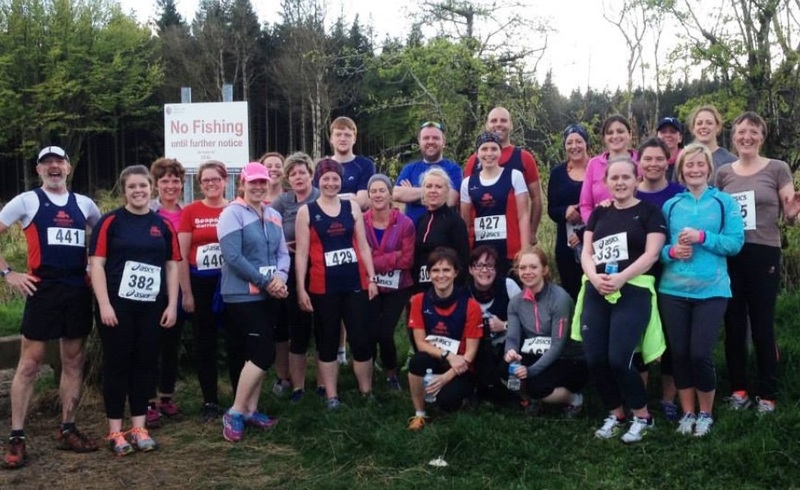 This year saw the largest field of athletes competing in this multi terrain annual event, the first of four forest races put on by East Antrim. 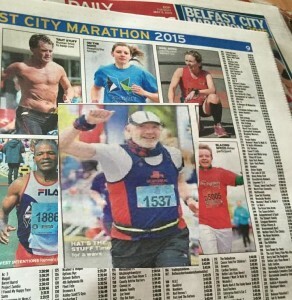 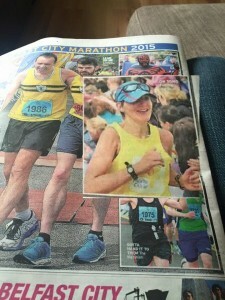 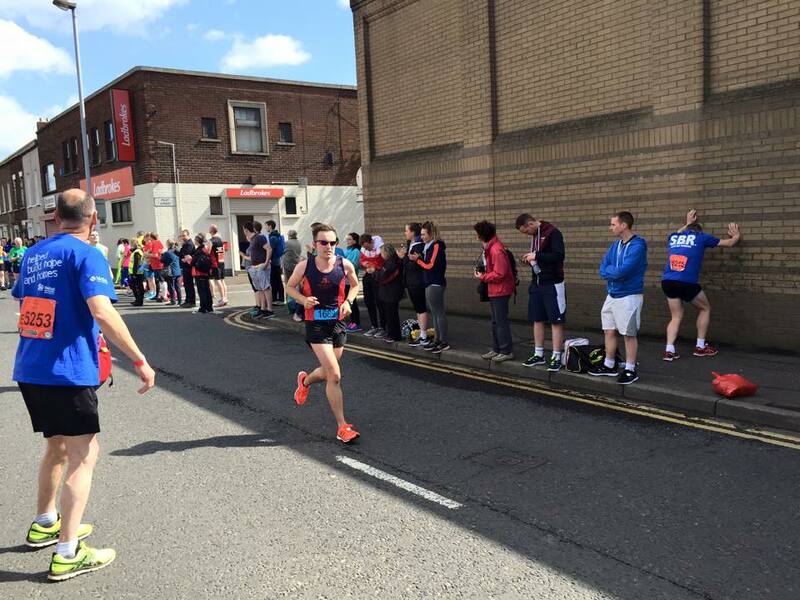 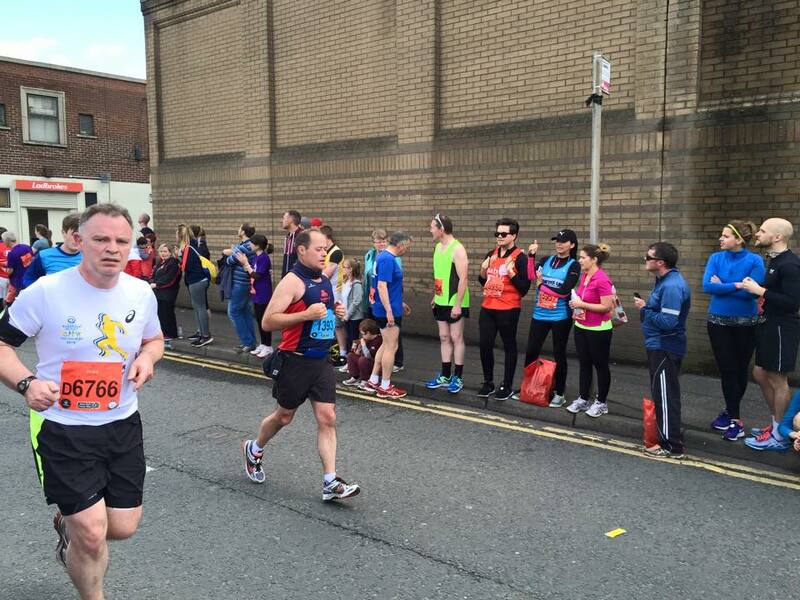 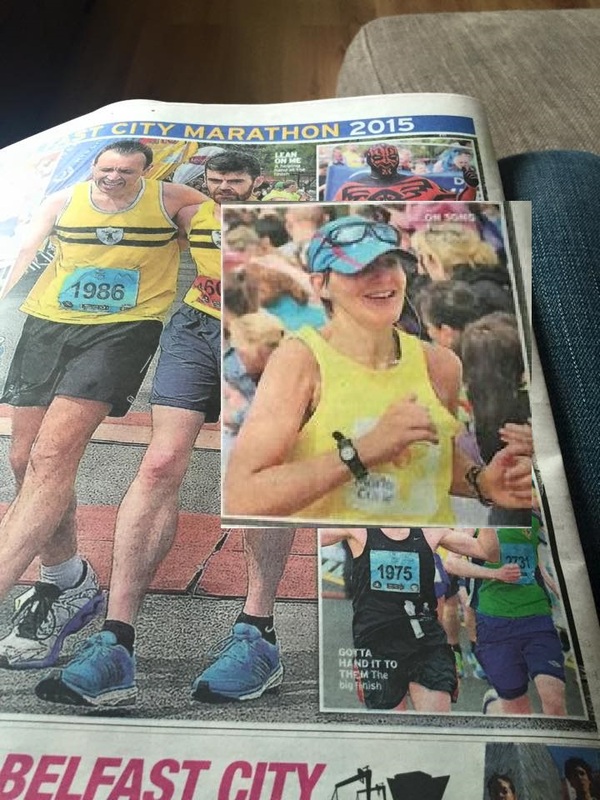 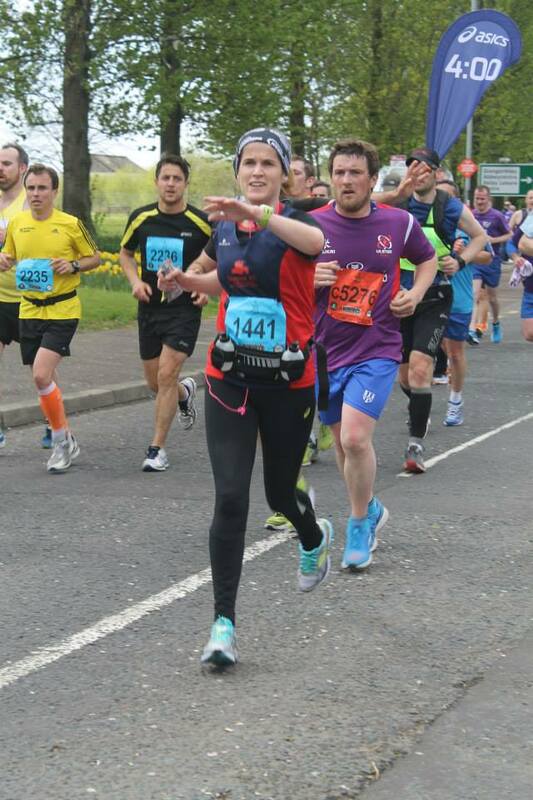 4th May – Belfast City Marathon – every picture tells a story!